This growing season has had more than its share of heat-filled days. Our hot days and warm evenings don’t always grow the best veggies. 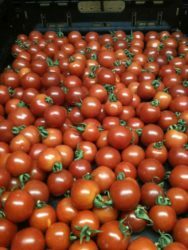 Tomatoes, in particular, suffer during hot days combined with warm evenings. At 85 degrees, pollination and fruit set will be affected. At 95 degrees when nighttime temps are at 75 or above, flowers may fall off the plants. Prolonged days with temps as we have seen this year above 90 degrees, can slow ripening. Cucumbers in heat stress can drop their blossoms, develop deformed fruit and have a bitter flavor. For squash, peppers, melons, pumpkins and beans,successive days in the 90s may cause them to drop their blossoms and temporarily shut down. Cool season crops such as broccoli, cabbage, lettuce and spinach will bolt in the heat. Wait to replant when cooler days are here to stay. Blossom end rot is common during hot weather when blossoms set and when watering is not consistent. You’ll often see it in tomatoes, peppers and squash. End rot is first visible as light tan, water-soaked lesions on the blossom end of the fruit which can enlarge and turn black and leathery. Spider mites also show up during hot, dry weather and one sign they are active is leaves that look stressed. Check for spider mites by holding a sheet of white paper under the leaves and tapping the plant. You may see specs move on the paper. The specs are mites and if you run your hand over the paper, you will see streaks. To control spider mites, consider applying an insecticidal soap according to label instructions. Note if there are precautions that apply to edibles. Check soil moisture often and water so soil remains uniformly moist so that plants do not wilt. Apply mulch around plants to keep the soil cool and to retain moisture. 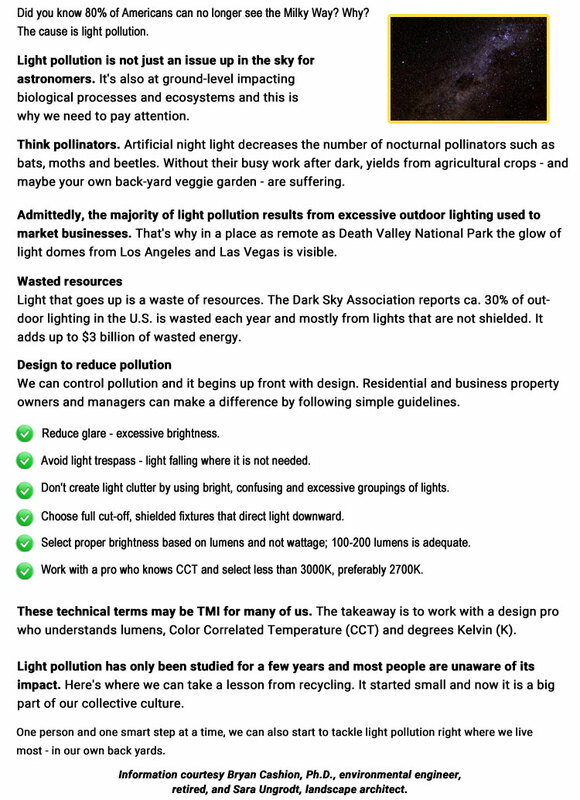 Consistent care and proper moisture for any plant variety reduces stress, diseases and insect infestations. 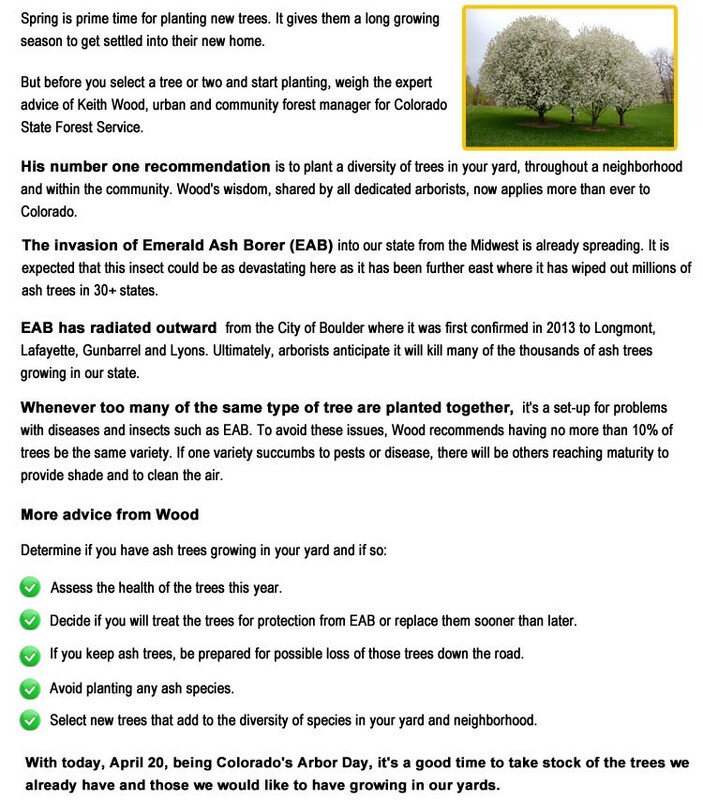 With the increasing risk of damage to ash trees by Emerald ash borer, it becomes imperative for gardeners and property owners in Colorado to plant a variety of trees in their yards. In this blog Keith Wood, urban and community forest manager for Colorado State Forest Service shares his wisdom with others and highlights the importance of planting trees of various species. This infographic summarises some of the important points or steps to follow for people who want to maintain their gardens or give them a new design to make them more appealing and productive. Hiring professional gardeners or landscaping experts for maintaining beautiful gardens even in harsh conditions can be crucial for the health of your garden or lawn.